Birth pool rentals – Labour Support and Doula Services, Victoria B.C. Labour Support and Doula Services, Victoria B.C. 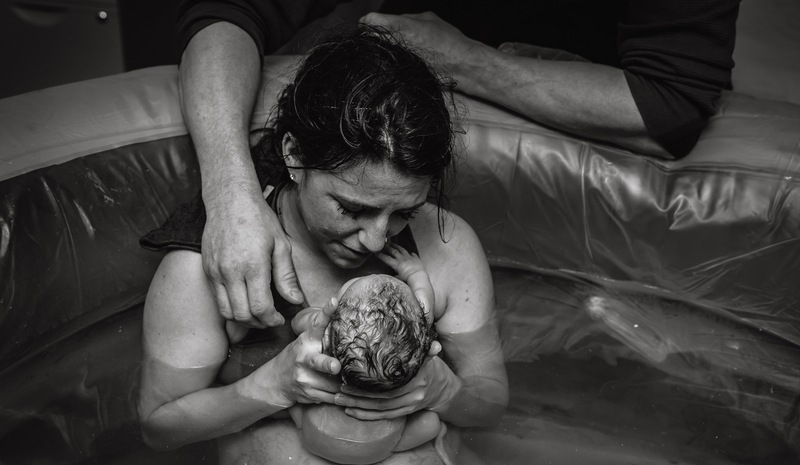 My waterbirths offered me a sense of weightlessness and pain relief. My pools are the Aquaborn Professional and now La Bassine Maxi Professional Pools! They are made from environmentally friendly Eco Vinyl eco materials which is safe for you, your partner and baby even when heated. They’re both comfortable and no extra padding is required. The Aquaborn Eco and La Bassine Birth Pools provide the perfect calm and safe environment to help you through your labor and birth. Being calm and feeling weightless is an important part of helping your labor progress well and comfortably as is possible. The $50 deposit will be refunded to you once the pool has been inspected to ensure it is in its original condition. Please be aware that a minimum $40 cleaning fee will be deducted if the pool is returned dirty and/or damp. The pool MUST be returned in its original condition to receive a full refund. I will drop off the pool when you are 37 weeks . Most places charge an additional fee for pickup etc but I roll this into the rental fee. No worry about storing or trying to re-sell your pool when you have finished! The Aquaborn Eco Birth Pool has been designed with needs of the expectant mother, baby and midwife in mind. 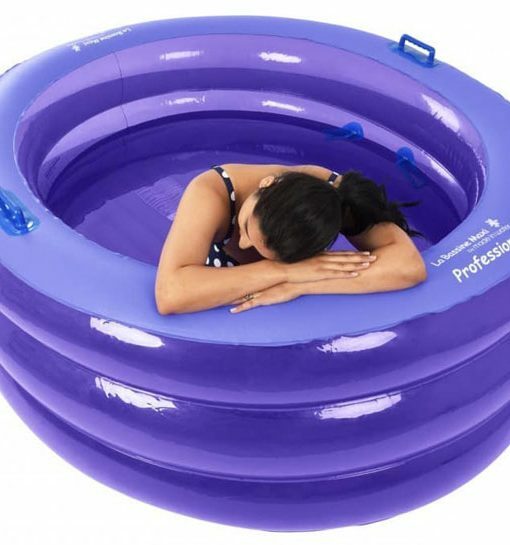 It’s the strongest inflatable birth pool available for home use. 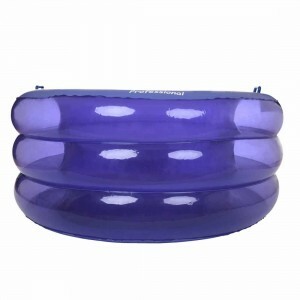 To achieve buoyancy in water and allow easy movement between positions, 21″ of water depth is required. We know you will want to move around and assume positions which bring your body out of the water. To aid this Aquaborn have made the Eco Birth Pool a little deeper so that your waist can stay in the water even when you want to lean over the pool. This is perfect for a birth position where it is important to keep your pelvis in the water. Birth Pool’s have unique beams that will deflate very slowly and equally, in the unlikely event of a puncture. This gives the birther plenty of time to exit the pool safely and the water to be removed before any spillage occurs. Looking for a larger birth pool so partner’s can join and/or for taller birthers? This Cocoon-esque water den is the ideal pool! Four solid internal handles, Pool liner fits over the handles perfectly placed, exactly where you need them! Use to assist in position changes, or to grab on to while you push. Both The Aquaborn and La Bassine Professional Birthpools are the highest rated on the market. Both are professional grade and made for birth! The Aquaborn can no longer be purchased in Canada…that’s really the only difference between both pools beyond color. Carbon Neutral – Made in Water Ltd has made a donation to the World Land Trust Carbon Balanced Fund to offset the carbon footprint incurred producing and shipping La Bassine. In fact, I even went and picked up my La Bassine pools rather than having them shipped! Ethically manufactured – All our manufacturers are independently audited to ensure safe and fair employment practice, also Quality and Durability – Made with Super-Strong Vinyl (0.45mm thickness), each birthing pool is factory tested to ensure that it has no defects.